offering amazing vintage menswear pieces gives me great joy. so it is only fitting that i make the shopping experience...better. 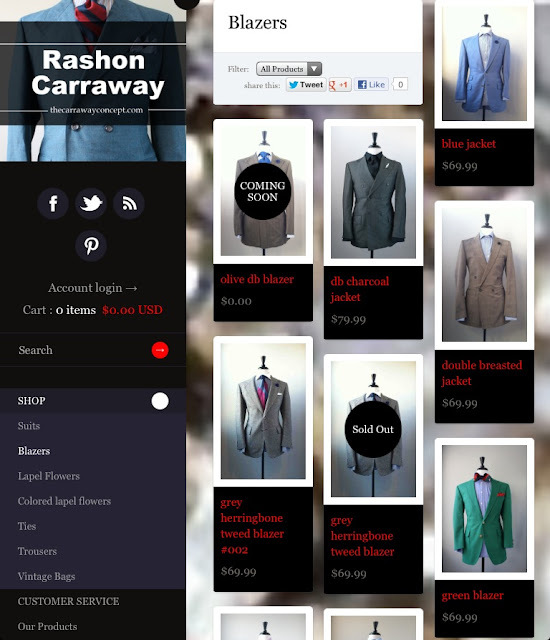 our new and updated site www.thecarrawayconcept.com is mobile and tablet friendly. you can click the photo or the link to see some incredible item.